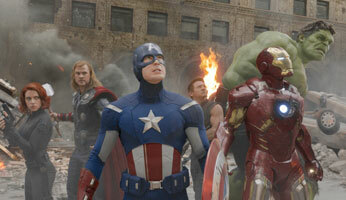 Since Iron Man hit theatres in 2008, Marvel has been one of the leading forces in Hollywood. Most of these super heroes have their quirks; Iron Man’s wittiness and Captain America’s unrelenting loyalty come to mind. One thing they all have in common though is the desire to help those in need, and the power to give a voice to those without one. As a brand, Marvel needs to live up to these expectations, and last March that’s exactly what they did. On March 16 of this year, a bill was passed by the Georgia Senate that would allow any faith-based organization to refuse their services to gay, lesbian, bisexual, and transgender individuals. Not only that, but faith-based organizations would have the ability to deny employment to the people within those categories as well. The bill was then handed over to Georgia Gov. Nathan Deal, who had the option to approve or veto this controversial issue. The Governor didn’t have an easy decision to make, and he was constantly pressured on both sides. The faith-based organizations believed they had the religious freedom to refuse their services to those that opposed their views. On the other hand, the LGBT community opposed the discrimination they faced because of who they are, and who they choose to love. This bill faced a large amount of publicity, and because of it, many companies chimed in on their beliefs; some even threatened to stop doing business in Georgia if this bill was approved. One of the largest voices opposing the bill was Marvel. It may come as a surprise to some, but Georgia is a hot spot for Hollywood films. The state has a variety of terrains and a climate that is ideal for filming movies, such as Guardians of the Galaxy 2, and The Avengers: Infinity Wars. The passing of this bill would result in the loss of millions of dollars, and one of the state’s claims to fame. On March 28, Gov. Deal vetoed the religious freedom bill, saying: “I do not think that we have to discriminate against anyone to protect the faith-based community in Georgia.” While it may not have been the only reason that the bill was overturned, Marvel’s decision to voice their opinion did have an impact. It showed the Governor and the entire state of Georgia that the decision on this matter would have a widespread effect; after seeing both the backlash and praise for their actions on social media, I’d say that Marvel and the “anti-gay” bill caught the attention of the American people. Regardless of their political affiliation, Marvel showed resolve sticking with their values and taking a stand. Doing so, they not only stood up for what they believe in, but they effectively defended their brand as well. Sexual preferences aside, children of all ages admire super heroes as they grow up, and it’s nice to see Marvel acting like heroes in real life as well.